Originally from Switzerland, Isobel first moved to the UK to complete her training as a GP, only to find her attention being drawn increasingly to music. Studying singing, first with Sarah Helsby Hughes and latterly with Christine Cairns, and taking up choral conducting with the organisation ‘Sing for Pleasure’, she is now based in Liverpool working with a range of choirs and companies in the Northwest. 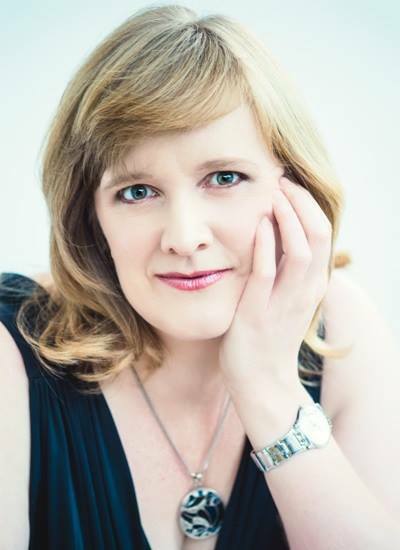 As a concert soloist, Isobel performs regularly with choirs such as the Cantata Choir at Liverpool Metropolitan Cathedral, Manchester Bach Choir and Wigan Choral Society. She is a member of the chamber group Priory Voices and sings with Liverpool Bach Collective. Recent solo performances include Bach’s Mass in B Minor and Cantata 115, Rossini’s Stabat mater and Petite Messe Solennelle, Mendelssohn’s Elijah and Vivaldi’s Gloria. On stage, Isobel’s roles have included Cousin Hebe in HMS Pinafore (for Heritage Opera), Olga in Eugene Onegin (Una Voce Opera Company), Prince Orlofsky in Fledermaus (Bentley Operatic), Mad Margaret in Ruddigore (Crosby G&S), Third spirit in The Magic Flute (City of Manchester Opera), Marcellina in The Marriage of Figaro and the title role in Carmen (both with Opera Viva).